When it comes to bread there are a lot out there you can buy. Personally, I like the satisfaction of making my own. Sure I also buy bread, but these are fun to make and pretty easy too. 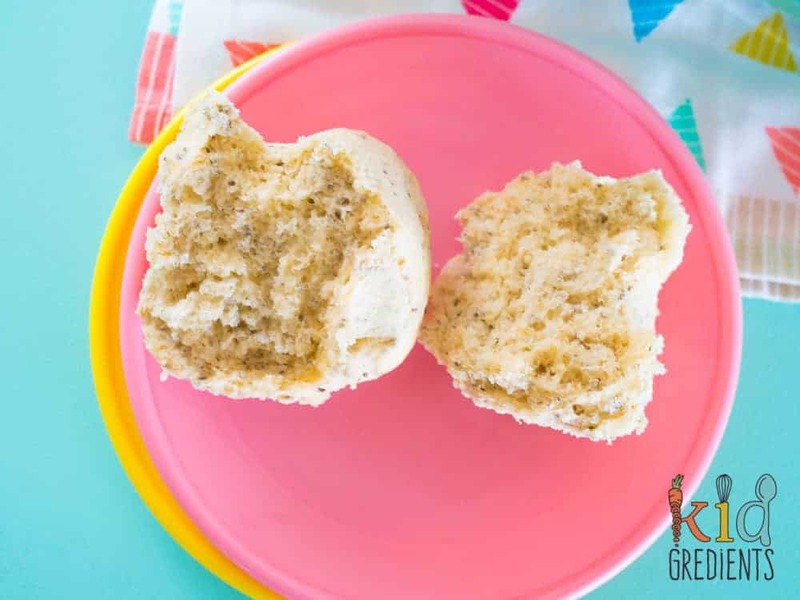 These no knead chia seed wholemeal rolls are the rolls that you need in your life! If you’ve ever thought about making your own bread, then you’ve read about kneading, rising and all that stuff. 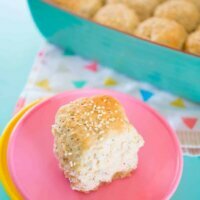 I wanted to make a bread roll recipe that you could do in a food processor or mixer and just leave, because I haven’t got time for 15 minutes of kneading. But I’ve got a lot of time for the smell of fresh bread baking. Buying bread mixes is an option, but they are more expensive than prepping your own dough and just a little less satisfying. 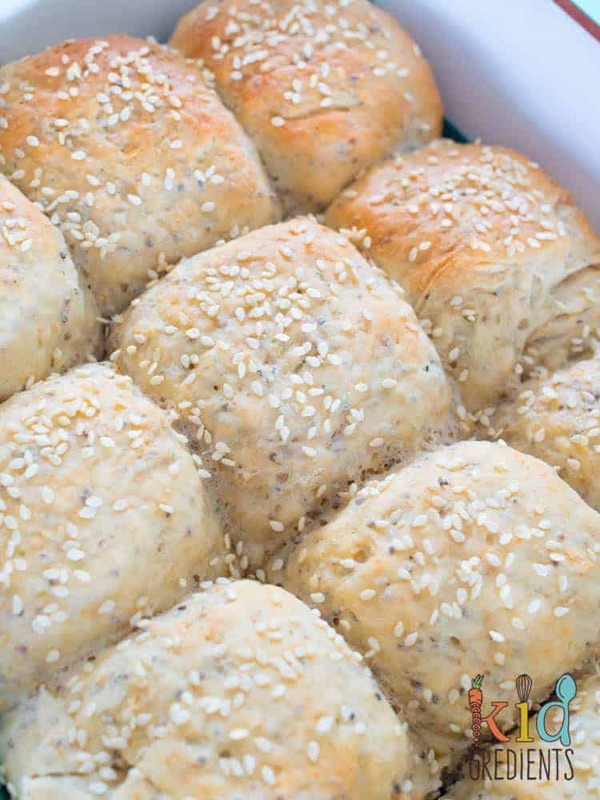 When making the recipe for these no knead chia seed wholemeal rolls, it was also important to include whole seeds, as they help to make our bread more healthy. And…and…I wanted them to be freezer friendly. Because if I make more than 1 bread roll, I need them to be able to be frozen! Make them, bake them, then freeze the leftovers for school lunches. Fill them as you want and the kids will gobble them up! Better still, get these done in the holidays with the kids, teaching them to bake their own bread is an important life skill. Teaching them to wait will the bread rises is super important. Showing them the changes that occur to the bread dough as it rises and bakes is really interesting, kids kind of see it as a science experiment. But it’s a fun a science experiment, one that gets eaten at the end! 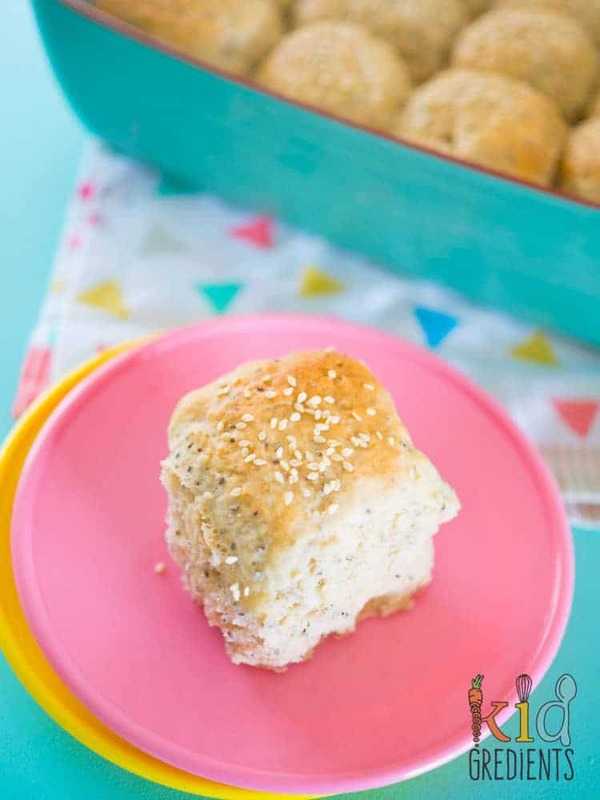 No knead chia seed wholemeal rolls, great for the lunchbox and totally foolproof! Bake your own bread and know what's in it with this no knead recipe. Combine the yeast, sugar, water and melted butter in a jug. Mix to combine and allow to sit for a couple of minutes, until frothy. Add the flour and chia seeds to a mixer with dough hook. Pour in the wet ingredients and mix on low for 2 minutes until a dough is formed. Cover the bowl with clingfilm and allow to site in a warm spot for 45 minutes or until doubled. Knock down the dough. And place on a floured board to divide into 12 round balls. Place the balls next to each other in a baking dish. Preheat oven to 200 degrees (400F). Cover with clingfilm and leave to rise until almost doubled (about 40 minutes). 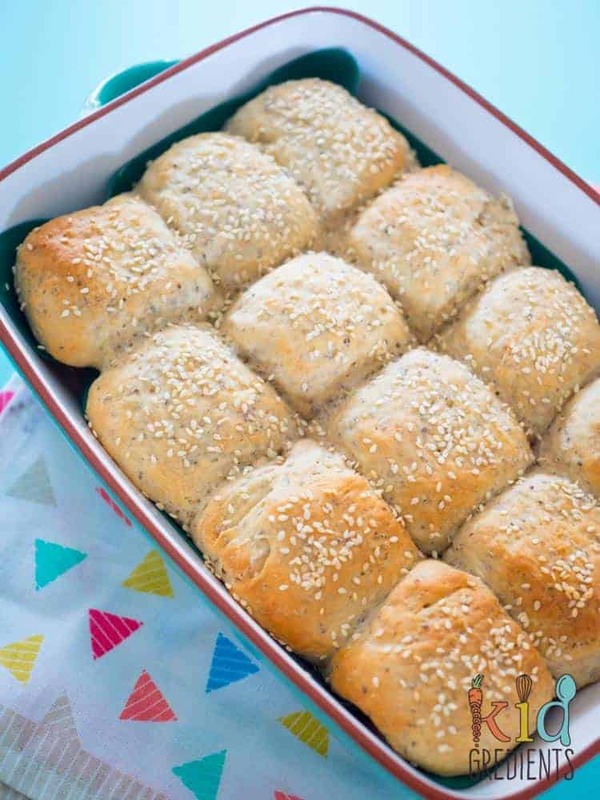 Brush with waterand top with sesame seeds. Bake at 200 degrees celsius (400F) for 15-18 minutes or until golden. Previous Post: « Spiced lamb, fetta and spinach gozleme – the cheat’s version! Could I use whole meal plain flour as well? Also do I need to soak the chia seeds first? You could try, it will, however, be a lot denser and you may need to add extra liquid. No need to soak the seeds! The ingredients above, “1 cup wholemeal flour”, what wholemeal flour did you mean, if it’s not wholemeal plain flour? I tried the above, twice, with wholemeal plain flour and plain white flour, but it didn’t rise much. Rather than getting soft rolls like pictures above, mine was still like a ball. Any advice? Thanks. I use wholemeal plain flour. Check your yeast is active. If it isn’t you won’t get a rise out of it. 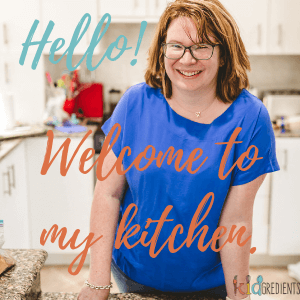 Hi there, I don’t have a mixer would the dough still work if I kneaded by hand instead? Yes, but it might be a bit of hard work! Enlist the kids! Mine was such a flop, noooo! I think my water was too hot – could that be it? Didn’t rise at all…maybe I killed the yeast? I want to try again…please troubleshoot with me! Yes! You need to make sure your water is only body temp at the maximum, and that your yeast is alive and well!